Born in Madras, S. Dhanapal trained under sculptor-teacher D. P. Roy Chowdhury at the Government College of Arts and Crafts, Madras. 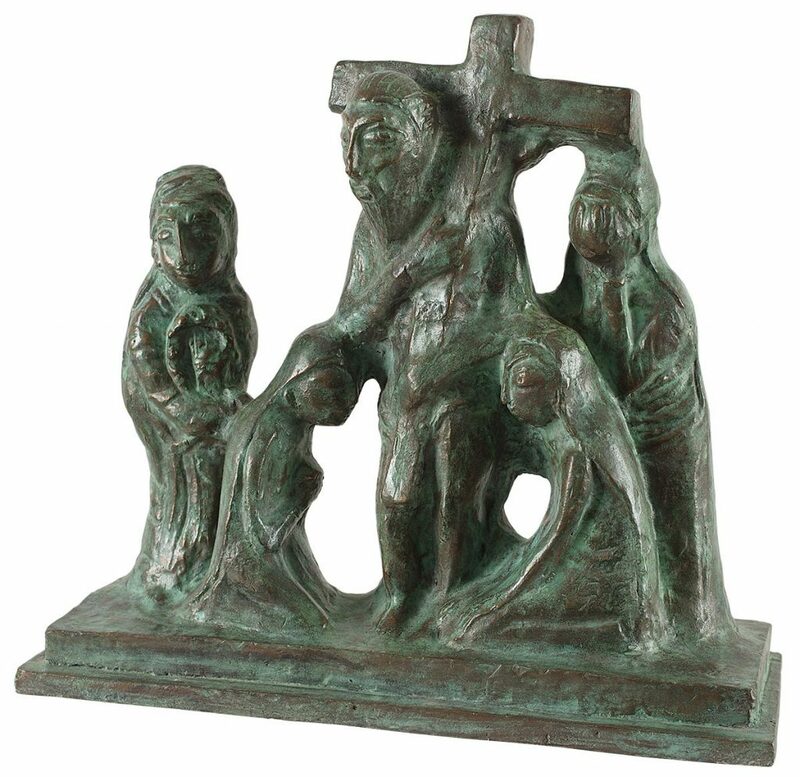 He specialised in line drawing and impressionistic water colours but eventually chose sculpture as his medium. 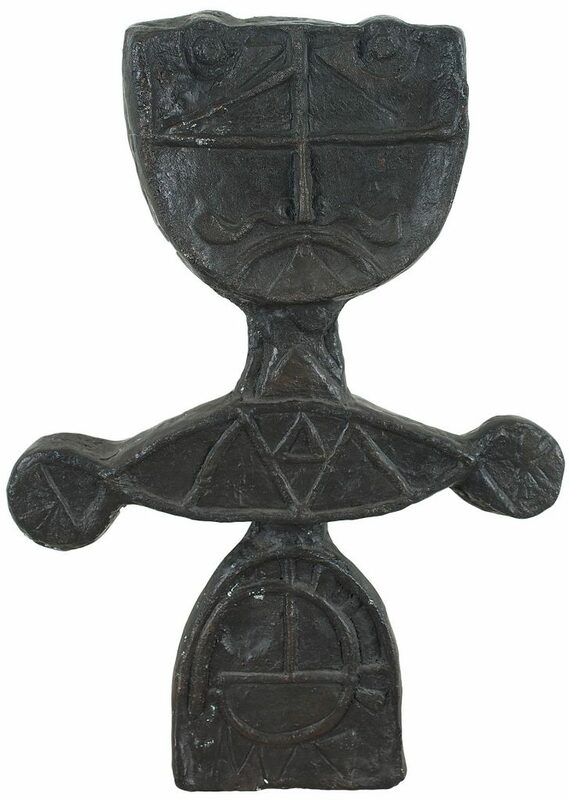 Dhanapal studied ancient Indian sculptures for their thematic divisions, techniques, iconography and iconometry, studying in particular the grammar of Chola, Pallava as well as Mathura sculptures of the Gandhara School. Classical sculpture and folk art have both inspired Dhanapal’s art. Massive and robust, his sculptures retain the fullness of a three dimensional form. 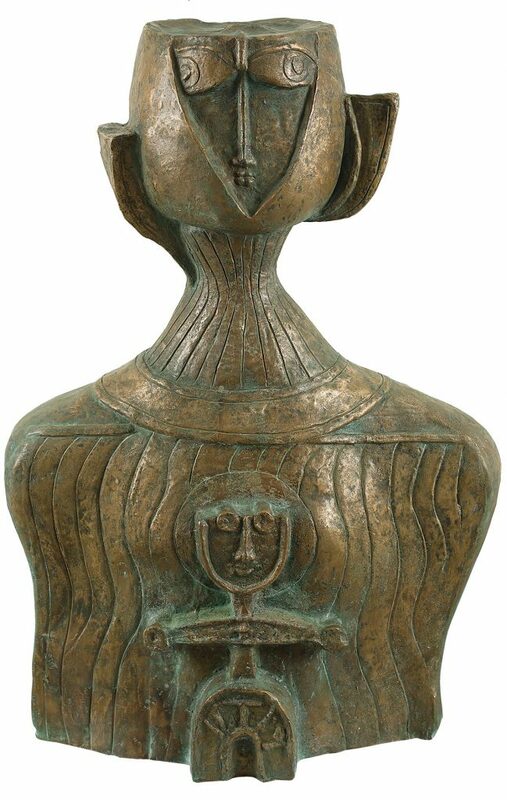 He has experimented with various metals, terracotta and wood with a great command over each medium. His sculptures explore varied themes, ranging from the biblical and mythology, to nudes, portraits and narratives. 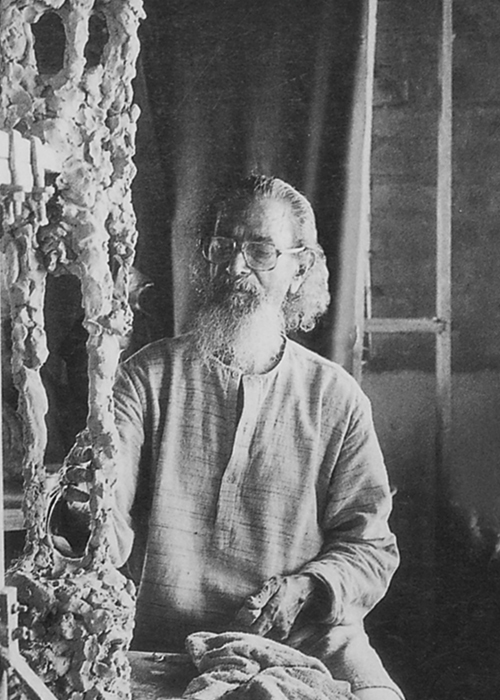 Dhanapal became principal of the Government College of Arts and Crafts, Madras, in 1972. In 1962, he received the national award from Lalit Kala Akademi, New Delhi. Lalit Kala Akademi’s regional centre in Chennai held a retrospective exhibition of his works in 2001. In 2007, an exhibition of fifty-two drawings of this artist was held at noble Sage Art gallery in London.